What’s the difference between osteoporosis and osteonecrosis? 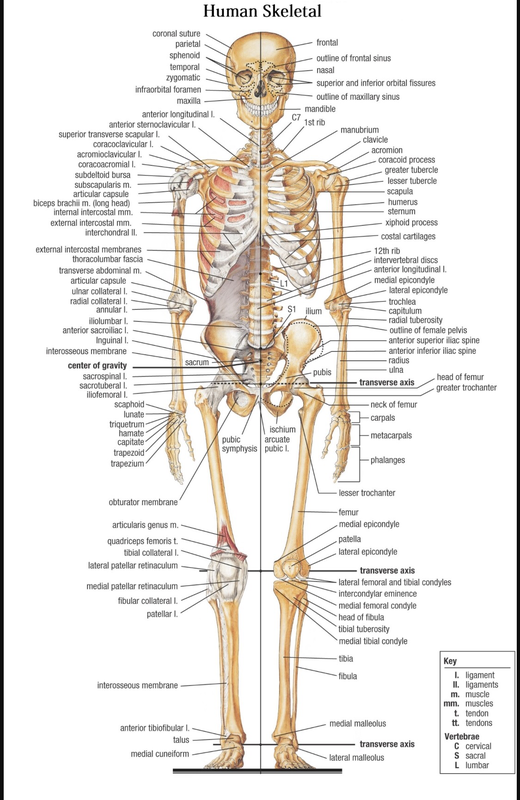 The first part of both terms (osteo) refers to bone. In the first word (osteonecrosis), necrosis means death so, osteonecrosis is the death of bone. In the second word (osteoporosis), porosis refers to how porous the bone has become. Loss of bone density creates larger spaces between bone cells. As a result of these changes, the bone is more brittle. The differential diagnosis is made using advanced imaging. X-rays may not show osteoporosis clearly. Doctors rely on MRIs to see patterns in the signals that indicate the presence of osteoporosis. For example, low-signal lines in the subchondralbone called crescent lines are seen with osteoporosis. Subchondral refers to the first layer of bone just under the joint cartilage. When osteoporosis is present, MRIs can show fluid called bone edema. Bone edema can be present with stress fractures and bone tumors, so the presence of bone edema doesn’t necessarily confirm that the person has transient osteoporosis. Further tests may be required such as DEXA bone scans. DEXA stands for dual-energy X-ray absorptiometry. A more up-to-date abbreviation for that term is DXA. DXA provides means of measuring bone mineral density that can be compared to the expected norm. Osteonecrosis shows up on MRIs without the defects in bone seen with osteoporosis. Instead, there are clear changes in the subchondral bone of the femoral head. 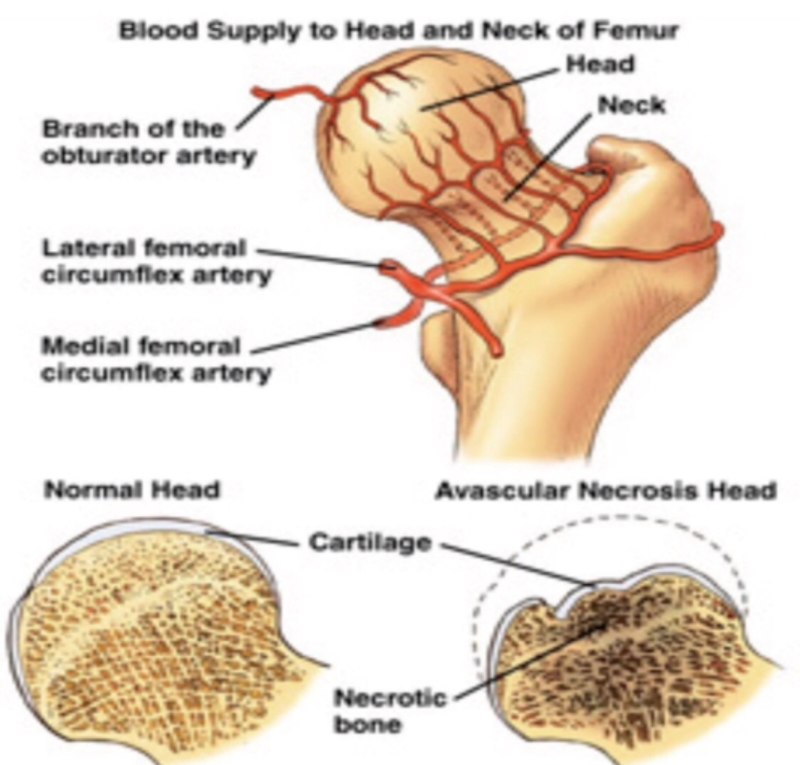 Subchondral refers to the first layer of bone just under the joint cartilage. 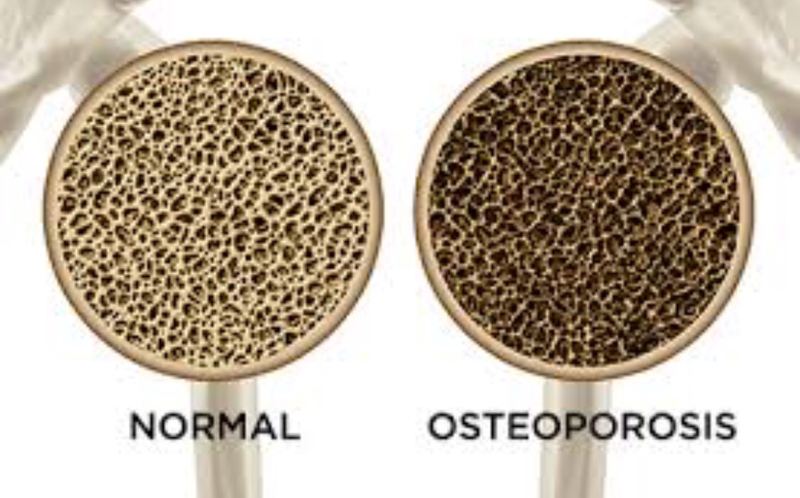 The distinction between these two conditions (osteonecrosis and osteoporosis) is important because these are separate problems requiring individual treatment.